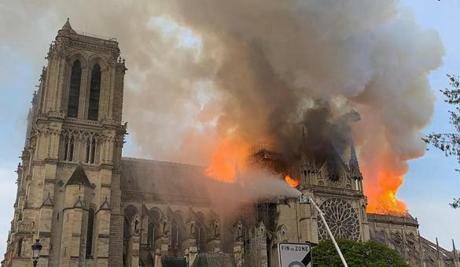 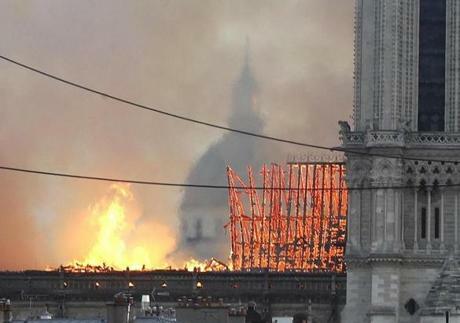 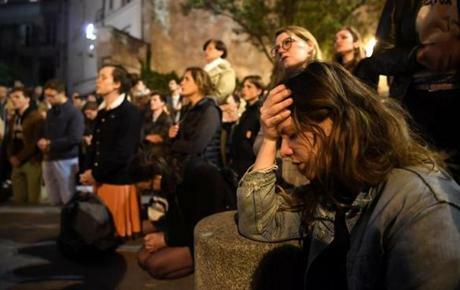 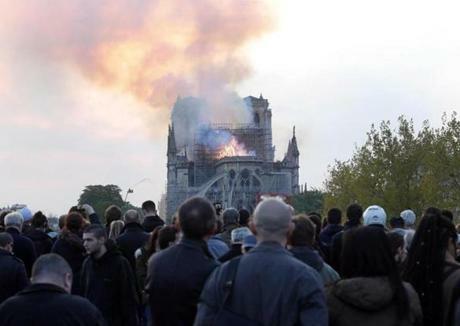 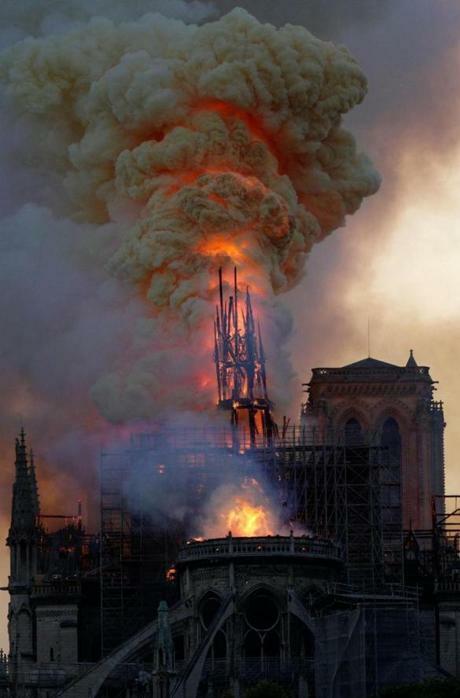 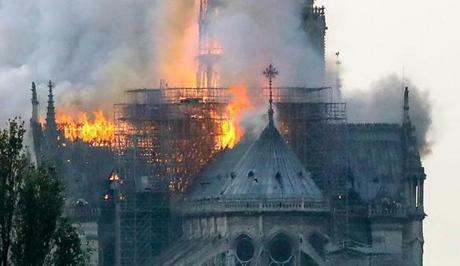 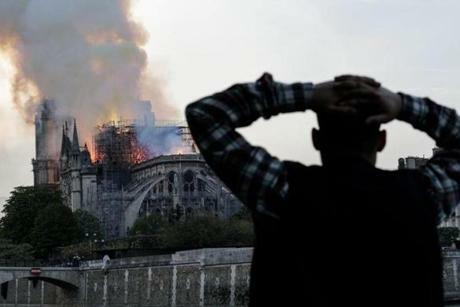 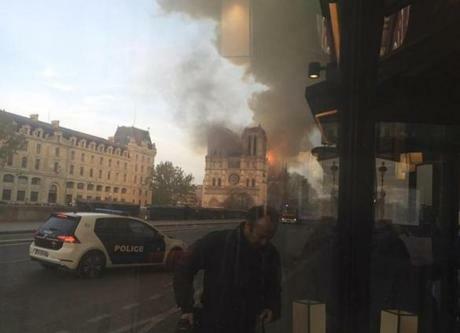 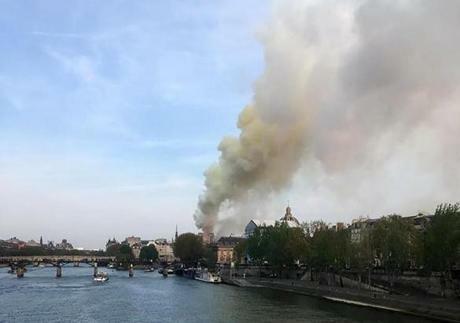 Flames and smoke were seen billowing from the roof at Notre Dame Cathedral in Paris. 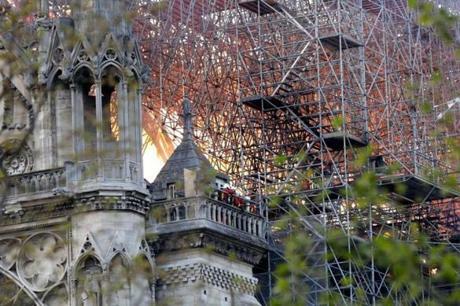 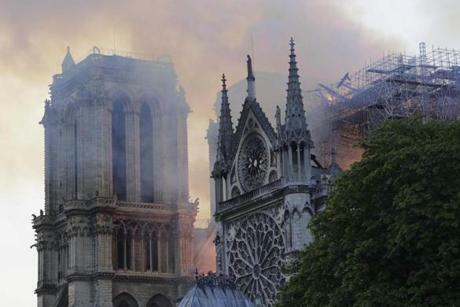 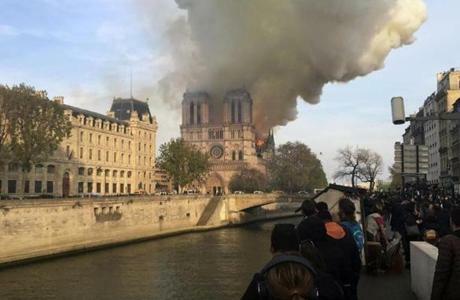 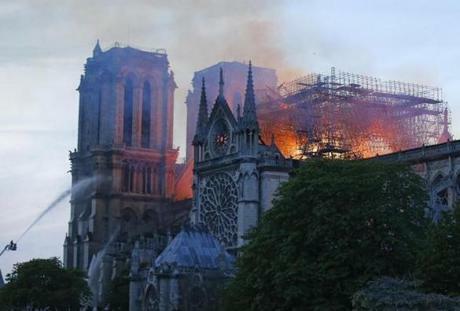 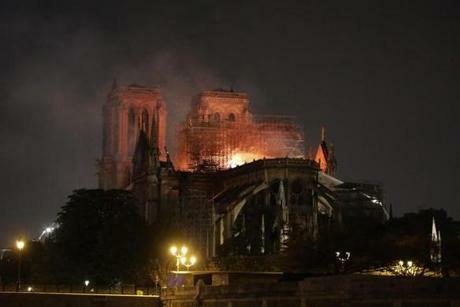 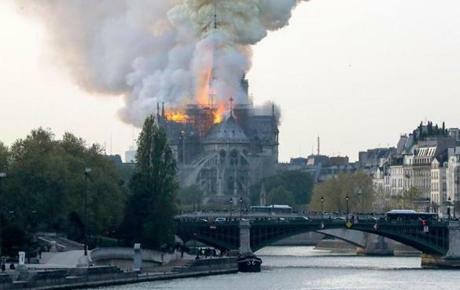 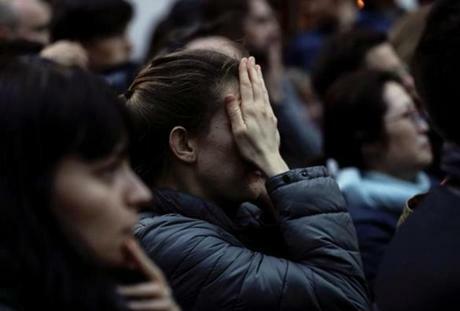 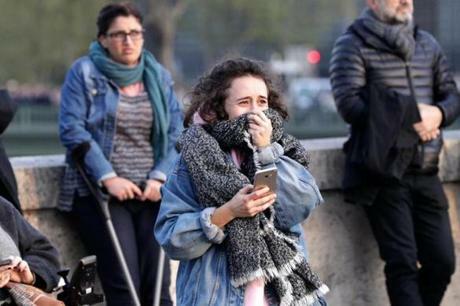 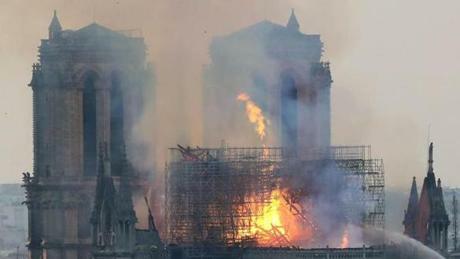 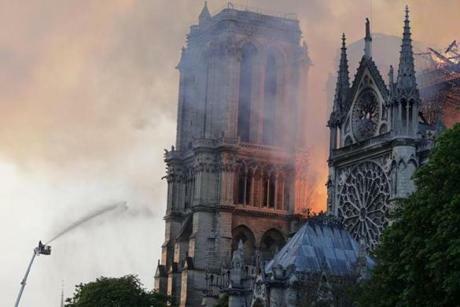 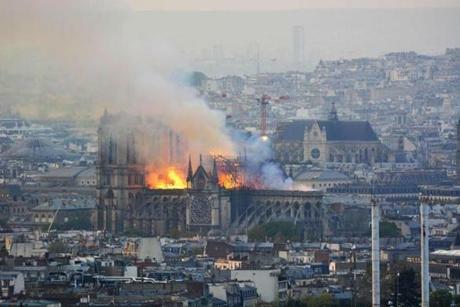 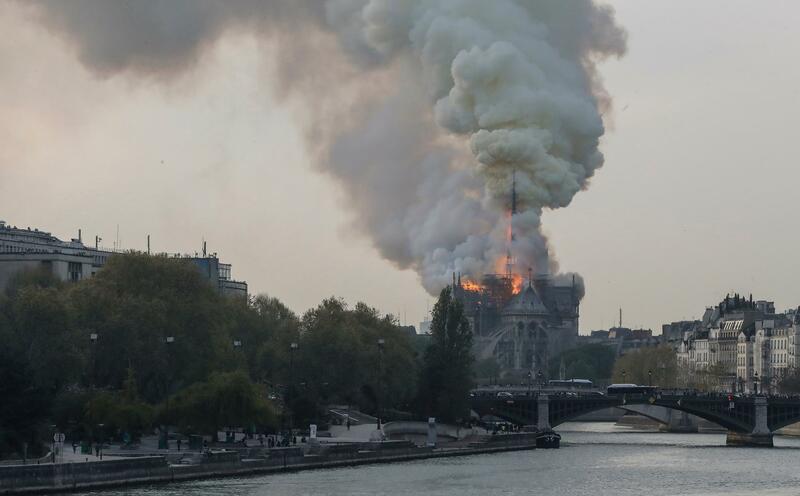 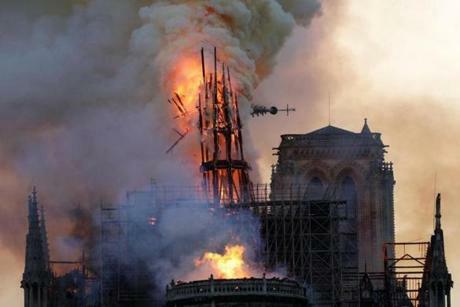 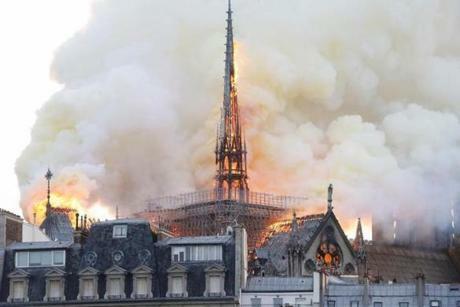 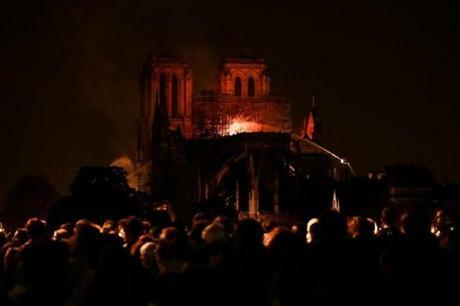 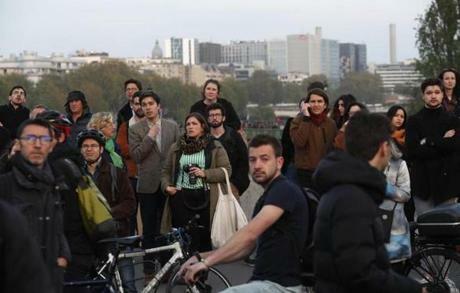 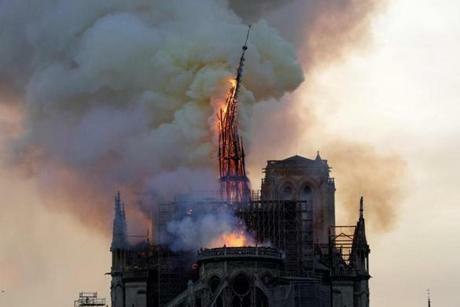 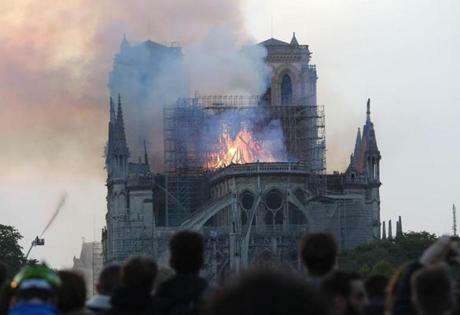 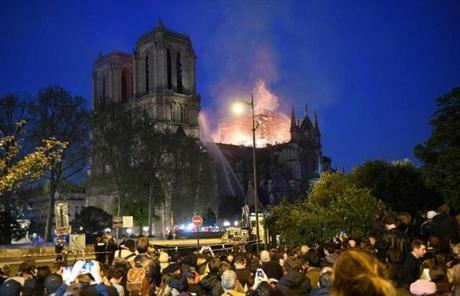 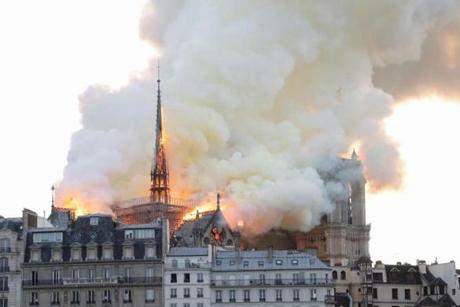 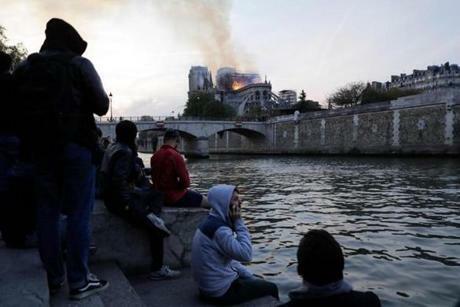 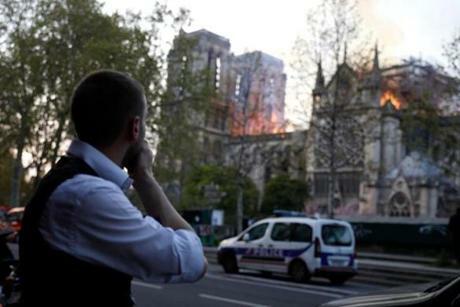 French media quoted the Paris fire brigade saying the fire is ‘‘potentially linked’’ to a $6.8 million renovation project. 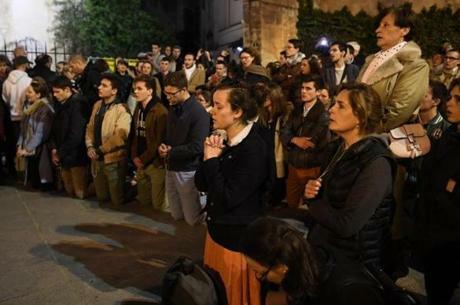 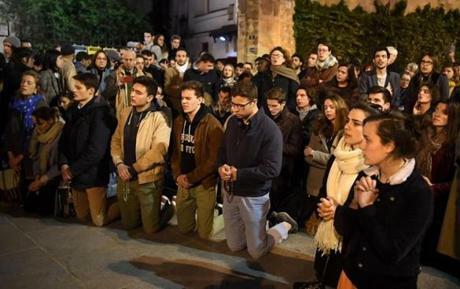 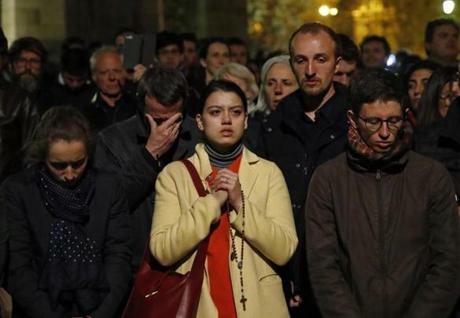 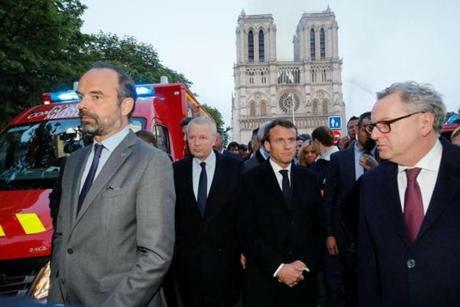 French Prime Minister Edouard Philippe (left) and French President Emmanuel Macron (third from left) gathered near the entrance of the Notre Dame Cathedral.